Let’s just cut to the chase. We’ve all read this script before. If you do anything less than fall to your knees weeping tears of jubilation that a man who is sexually attracted to men was picked to play a game for a living — you’re a homophobe. It doesn’t really matter why you aren’t joining in the celebration, or why you aren’t using words like ‘historic’ and ‘revolutionary’ to describe a scenario where a homosexual fellow plays a sport with some other fellows, and is paid handsomely and applauded loudly for doing so. 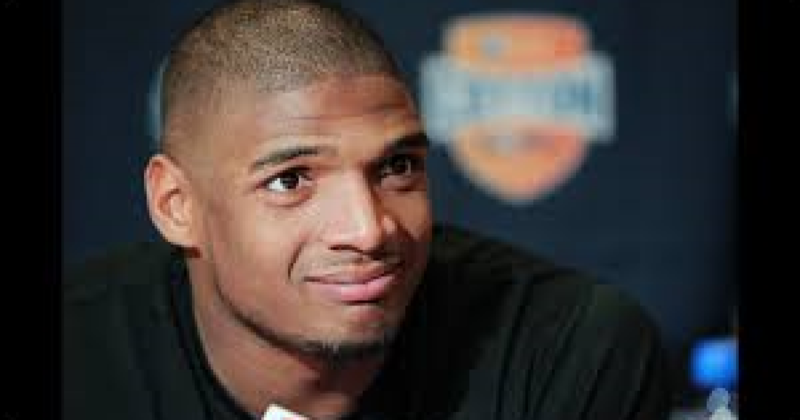 It doesn’t matter what reasoning you provide, or what sort of logic you employ, when attempting to explain why Michael Sam’s likeness shouldn’t necessarily be etched into Mount Rushmore just because he took it upon himself to alert the media of his sexual habits a few months before being selected in the 7th round of the NFL Draft. It doesn’t matter what you say when trying to articulate why the President of the United States of America probably doesn’t need to release an official White House statement to congratulate someone for being gay and athletic. It doesn’t matter. None of it matters. Nothing is acceptable but complete and total adherence to the prevailing cultural dogma. You are only allowed to think a certain way about these kinds of things. Any thought, or statement, or phrase, or utterance that deviates from the zeitgeist by even the slightest degree will earn you the label of homophobic bigot, and that’s just all there is to it. So, while I’m not a bigot, and while I’m not ‘homophobic,’ and while I generally carry about my day very much unconcerned with the sexual proclivities of football players from Missouri, I nonetheless feel the need to be a voice of reason amidst this whole spectacularly ridiculous charade. Therefore, I will be called a bigot, because that’s how America has been trained to react to anyone who questions popular opinion.